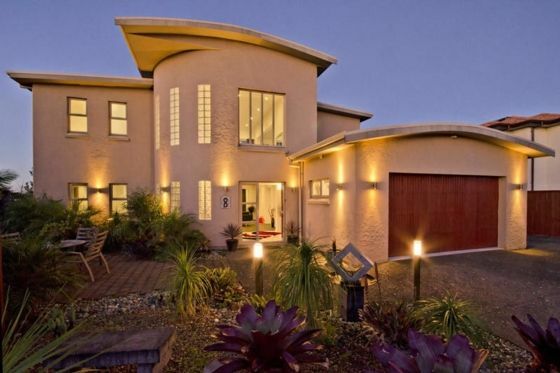 Big supermarkets within 800 meters; Big house,nice rooms and well facilitated; near seashore with an amazing view of the sea, the bridge and Auckland city. close to No.16 highway. bring you fast to every part of Auckland. It's more than 20 kilometers from Auckland Airport, full highway, up 20 minute drive. It's very easy! About 20 minute drive to Piha beach and gannet colony and Muriwai Beach. There is a key box with keys for your room/rooms. The silver and black box is on the side of the fence. It is on your 8 if you are standing right in front of the gate. I will send you the key code. If I forgot,please ask me for it.Please input the number and take the key. When you check out please put the key back and randomize the code number. Thank you very much. Be quiet after 10:00 pm. Property is great. Cleaning couldve been a little better. However, really happy we chose to stay here as it was very accommodating for our bridal party. lovely house with the most amazing views. Good Location with great views of the harbour and city. Good Location with great views of the harbour and city. Adequate space with 5 bedrooms, 2 living areas, kitchen and balconies. In a quiet location and close to local shops. This property is in a lovely location with stunning views. This property is in a lovely location with stunning views. It is very spacious and was perfect for our work offsite training.